The chairperson says Karima Brown’s ‘disrespectful, reckless, and undermining spying tricks’ now ‘make sense’. 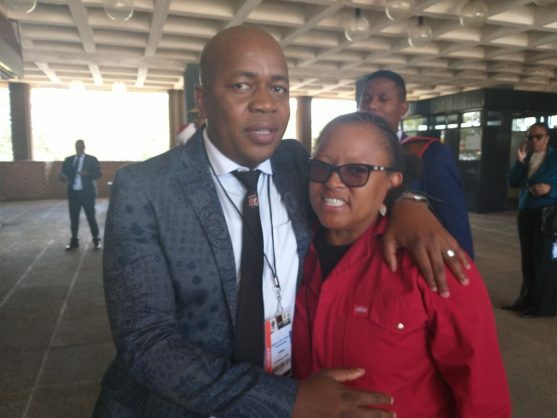 Economic Freedom Fighters Gauteng chairperson Mandisa Mashego slammed Ekurhuleni mayor Mzwandile Masina for apparently being a copycat. The mayor announced on Tuesday that the ANC would be having breakfast with the elderly in Vosloorus to share the party’s manifesto. However, the announcement did not seem to have impressed Mashego, along with other social media users, who accused the mayor of failing to come up with ideas of his own. “Why are you such a shameless copycat? For a governing party mayor that has for 25 years run down the state, you’re predictably without any ideas/ imagination @DungaLeko @EkurhuleniE @mzwandileMasina,” said Mashego. Now Karima Brown's disrespectful, reckless and undermining spying tricks make sense. Why are you such a shameless copycat? However, Masina hit back at Mashego and said the ruling party had been holding talks with “all sectors of society” long before the EFF existed. “You getting excited Mafikizolo. Don’t involve me and the ANC in your issues with Ms Brown please,” he said. The EFF leadership hosted a breakfast meeting with the elderly last week, in a move that was accompanied by EFF accusations of spying after Karima Brown mistakenly posted a message on the EFF’s WhatsApp group asking people to check out the meeting. EFF leader Julius Malema posted the screenshot of the message, which showed Brown’s number, and caused an uproar that ended with Sanef calling on the EFF leader to apologise to her, which Malema has made clear he would not do.